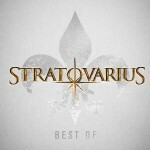 Share the post "Album review: STRATOVARIUS – Best Of"
Stratovarius have been around since 1985 and have to date released 16 studio albums, so as you can imagine this 29 song best of will only touch on the band’s impressive musical output to date. The limited edition adds a bonus disc of the band live at the Wacken Festival recorded in 2015. Interestingly Stratovarius must be one of the few major metal bands not to feature any original members, with vocalist Timo Kotipelto the longest serving band member having joined in 1994. Keyboards player Jens Johansson is not far behind though having joined the band a year later in 1995. When key member guitarist Timo Tolkki left in 2008 many fans thought the band would flounder or call it a day, in fact they have gone from strength to strength and they still chart in many European countries album charts. There is one new song on here, ‘Until The End Of Days’, which is a typical upbeat power metal romp from the band. They are one of the leading bands in the power/neoclassical metal genre and have gained many a rave review in the UK press, which was unusual certainly ten or so years ago as power metal was often derided. Highlights depend on what sort of sound you want from the band, as they do those big rousing chorus led tunes like ‘Shining In The Dark’ and then they can do a foot-on-the-monitors power metal beast such as ‘Hunting High And Low’. ‘Halcyon Days’ is great fun, with an almost dance like keys riff from Jens Johansson and an almost pop chorus line. It would make a great Eurovision entry and that is not belittling the song in anyway! It is just that the song has great crossover appeal. This entry was posted in ALBUM REVIEWS, ALBUM REVIEWS (Mobile), All Posts and tagged album, best of, EarMusic, Jens Johansson, melodic, metal, neoclassical, power, review, Stratovarius, Timo Kotipelto, Wacken Festival. Bookmark the permalink.